This morning, local historian Frank Brown presented Andrew Gwynne MP with a copy of his self-published book, ‘Well! I Never Knew That About Denton’. 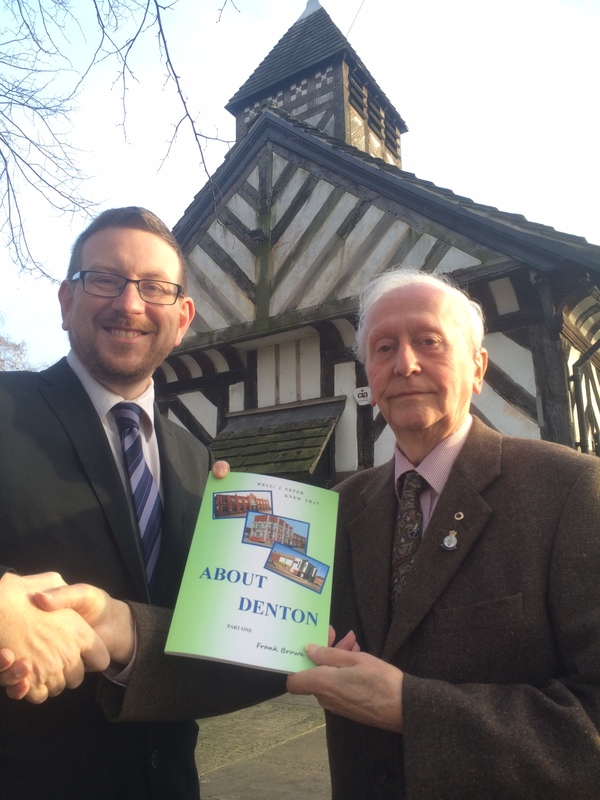 The book is a compilation of stories and photographs documenting Denton’s colourful past and seeks to answer the questions Frank is commonly asked when he’s giving talks on behalf of Denton History Society. “I think I’m really going to enjoy spending time reading this book. People know I love local history, but there are things in it that I didn’t know about my home town.